Have a look at her stash! Don’t you want to just grab some of those yarns and squish ’em? 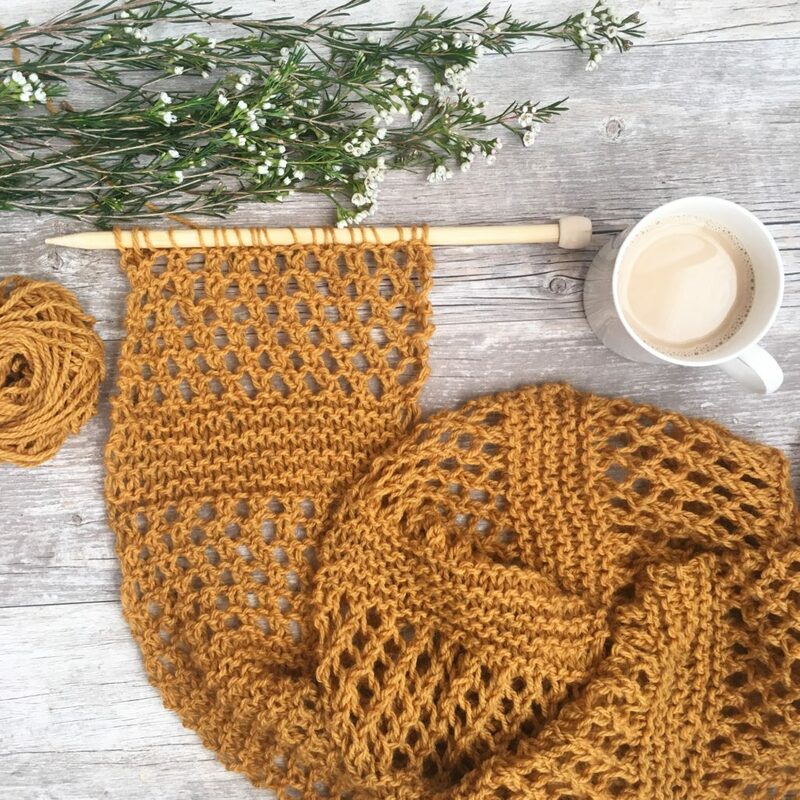 What are your favorite knitting projects? My favorite knitting projects are usually the ones that call for chunky yarn, big needles and knit up in an afternoon of marathon knitting and T.V binge watching. 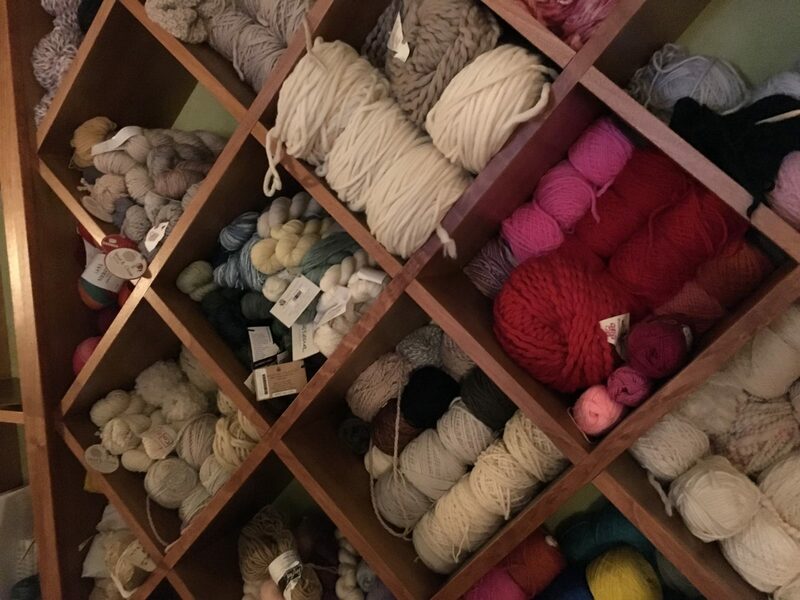 What yarns do you love to use? Right now I’m loving anything Alpaca and hand dyed. I just love the cozy softness of Alpaca and so many of the hand dyed yarns come in exquisite variegated colors that add so much beauty to even the most simple of patterns. Why do you enjoy knitting? 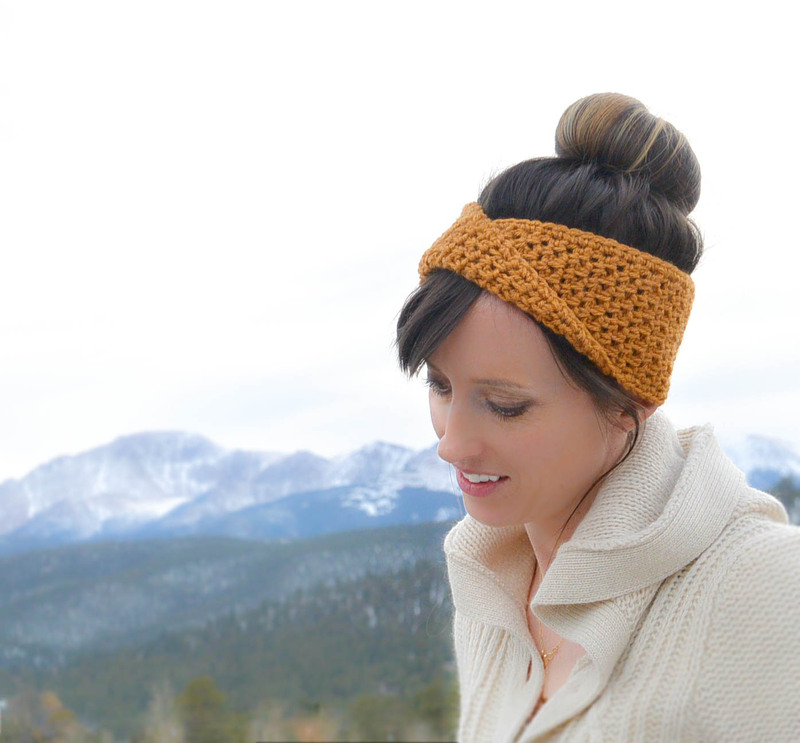 There are so many things I love about knitting. I love that I can take a pattern and make it my own by what yarns and colors I choose. I love the peaceful rhythm you fall into when you really hit your groove with a project. I love creating with my hands the perfect gift for a friend or family member. What would you tell folks who want to start knitting? Start slow and take a class or two. Knitting is really very simple but you need a good foundation in the basics. There are so many YouTube tutorials now a days but I still think it’s best to find your local yarn shop and sign up for a couple of one on one lessons. The teachers will help you pick the exact right yarn and project to start with so that you don’t get frustrated and give up. I first learned to knit when I was about 19. Martha Stewart had a knit scarf tutorial in her magazine one fall and I decided to give it a shot and knit my father a scarf for Christmas. Unfortunately I made a ton of newbie mistakes and didn’t realize I should have factored in my father’s height (6 foot 4 if you’re curious) to determine the right length. It ended going from about 30 stitches to 50 and ended around the top of his chest. It looked totally absurd but I refused to give up! I took some classes, learned the basics and have not put my needles down since. My interest has recently been piqued by weaving. If I end up with a loom you’ll know I’m in trouble! Favorite color – That’s a tough one but probably Purl Soho’s Gentle Giant in every color! 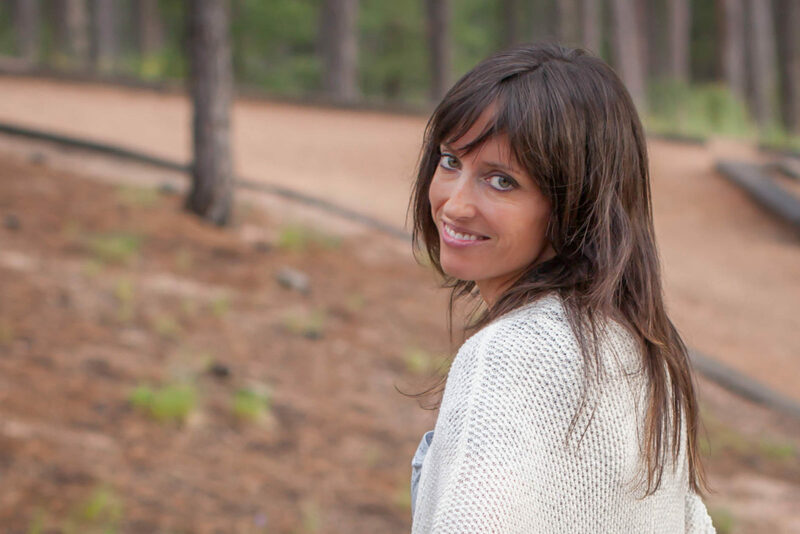 So friends, definitely check out her blog, Those Heavely Days and I hope you enjoyed hearing from Katherine today. Feel free to leave your thoughts on any of the above questions in the comments below! Why do you love to knit? that’s a heck of a nice stash Katherine has. Very nice. Jessica!! This is so much fun!! I had no idea she knitted and had blog, too. Thanks for sharing this with us. 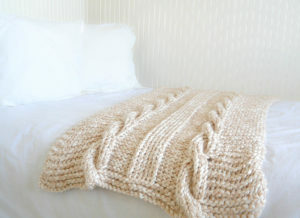 I dream of having Gentle Giant from Purl Soho. That fiber is stunning in any color. Hey Patty! So glad you enjoyed this. 🙂 I want me some Gentle Giant too now! Wow! OMG!! I LOVE Katherine Heigl! I think she’s such an accomplished actress and wonderful person all around. I’ve watched all her movies and when she was done with Grey’s Anatomy, i actually stopped watching it because it just wasn’t the same without her, so yes, i’m a die hard fan here lol I love that she took the time out to respond to you and i’m a HUGE fan of chunky knitting, why? 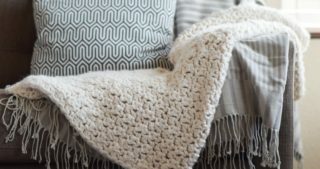 Because you can finish your projects that much faster and there are so many gorgeous patterns out there for chunky yarn and most of them are super easy, that and your blog too, you’ve always had the most beautiful patterns to show and i have no idea how you do it with kids and a house to run too, yikes! I actually have alot of the Gentle Giant and it is excellent to knit or crochet with, Purl Soho has gorgeous yarns, they can be a bit pricey, but so worth it, another site i go to for gorgeous colors that seem to pop when you look at them is Expression Fiber Arts, again, pricey, but the quality is unsurpassed, check it out! Oy! Please tell me there’s more of her stash?! I can’t have more than a TV show star!! 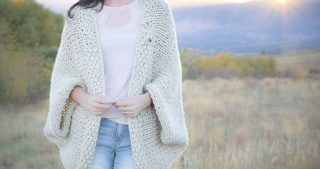 I’ve been a follower of Katherine’s blog for a while now and love that she is so open about her love of knitting (Izzy even did it once the show!). 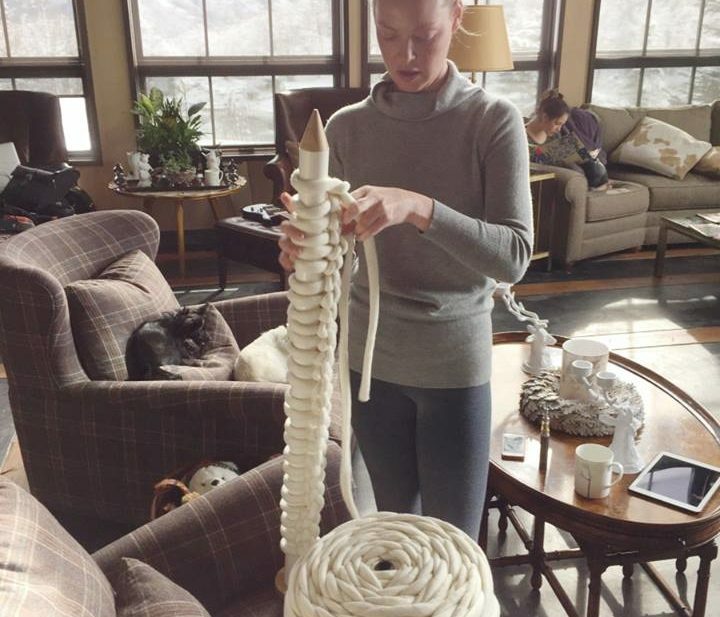 I love her acting, but I love her even more in her element with entertaining, knitting, and decorating her home. Katherine, you rock! You rock too Jessica! Thanks Wendy! And that’s so cool that you’ve been following her for a while! So glad to know Katherine is one of the dozens of stars who knit and talk about it a lot–from Meryl Streep to Sarah Jessica Parker, and Julia Roberts has long been known for all the sweaters she knits while on set. (For lots more, there’s even a Pinterest board that lists the famous knitters–with photos!) It’s nice to be in such good company. I’m with Aileen, though. Yikes! So glad you liked it Diane. I just googled “Julia Roberts Knitting” and sure enough there she is with knitting needles! Sweet interview Jessica! Katherine is so down to earth and funny. 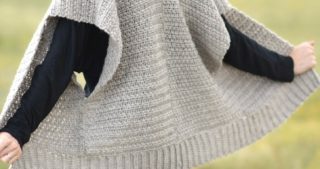 I’ve been reading her blog for a while now and was happy she recommended your blog in her knitting now post Her stash looks like a LYS, sheesh! I like to knit and might love it some day if I can shake my paralyzing fear of mistakes and how to fix them. I prefer knitting big yarn on big needles, feels safer! 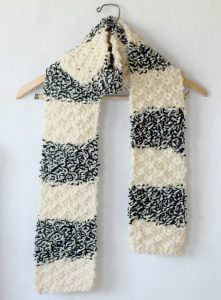 I’m making Two of Wands Mount Blanc cardigan right now with the super funky Bernat Mix Home yarn, texture galore! My yarn for your Willow Wrap Over Shrug is taking FOR EV ER to arrive. I thought the very same thing Pam. Her stash does look like the LYS! 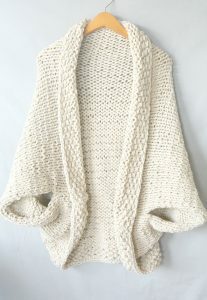 Sorry to hear that the yarn is taking a long time to arrive for the Willow Wrap Over Shrug. I didn’t know about that – I hope you get it soon! I bet you’re Cardigan is beautiful. Thank you for sharing your newsletter from Katherine. She, indeed is a fine actress and beautiful, also. I have nearly wall to wall windows in my home, and I love them. I face Southwest and get the lovely afternoon sun. Would dearly love to get the big needles, however, both of my rotatar cuffs are gone and it would be difficult to hold them. Even tho, I am a mere 75, I am looking into stem cell therapy to help me. I was looking at Purl Sohos yarns just for grins, it’s gorgeous AND pricey. I saw that humongous cake of white yarn there…..for a mere $360 or so! There was an even bigger one for around $680, WOW. They also sell those needles that could double for pole vaulting poles! Thanks so much Lisa for taking the time to let me know! 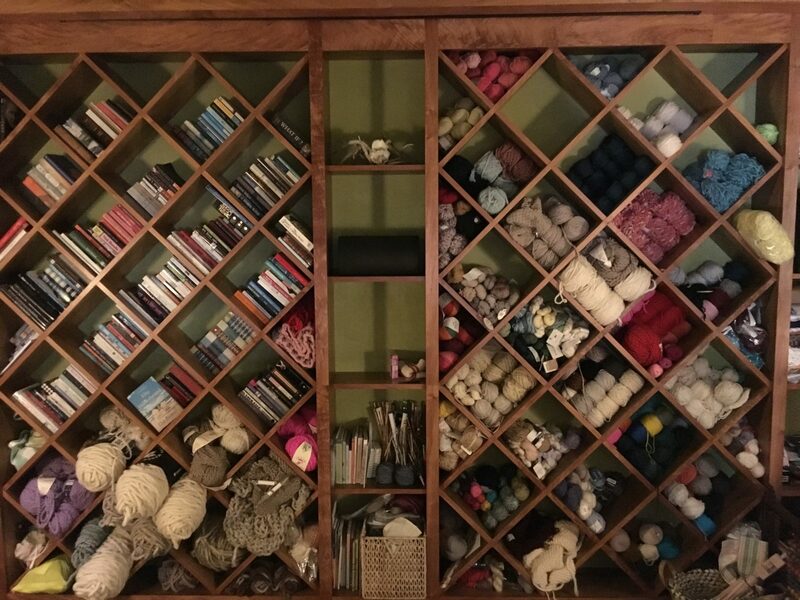 I love the above article, reminds me why I love knitting for all the same reasons, and also I love Katherine Wall Mount where all her stash is stored excellent. Given me such a good idea.. enjoyed reading this article. thank you.